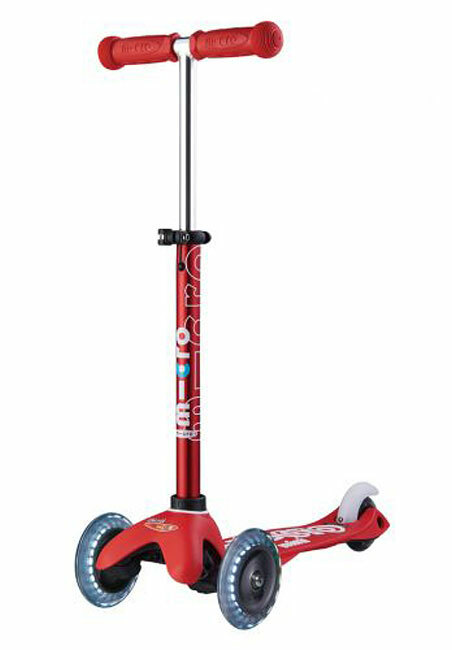 Light up your scooter with the all NEW Mini Micro Deluxe LED. 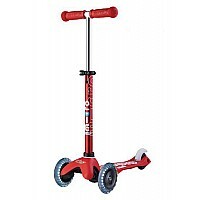 We have meticulously redesigned the classic Micro Scooter, improving every feature to create a scooter that is unsurpassed. 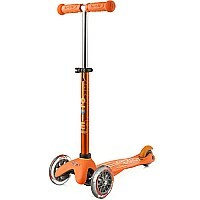 The Deluxe version now has an adjustable handlebar allowing the scooter to grow with your child. 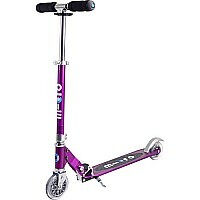 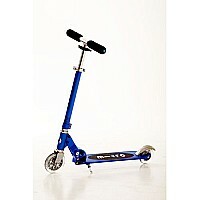 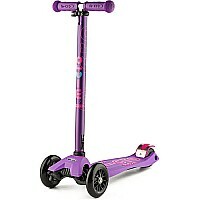 An anodised stem, anti slip silicone footplate, superior rear brake and ingenious light up front wheels all combine to make this THE scooter for every preschooler.